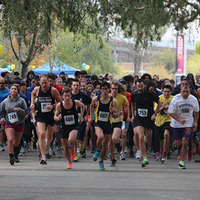 It's time for our annual Spirit of the Tribes 5K Run/Walk. This annual event is our direct source for scholarship funds for our students. We have a growing population of Indigenous students here at UCR, and the demand for scholarships is rising. Help us grow our scholarship fund by signing up for the 5K today! Your generosity is not just good for our Native American scholars, but your physical and mental health as well. This event is free and open to the public so come out and support! Cheer for your friends, family, or children. Keep their energy going! We do have a 1K and a 1/2K for the little ones. And remember, Homecoming is right after our event. Come for the cause, stay for the spirit. Complimentary parking is in lot 6.